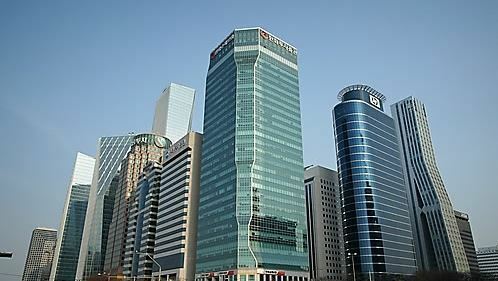 The number of companies that either made zero net profit or pure profit of more than 10 billion won ($8.87 million) both increased last year, records from the National Tax Service showed Monday, indicating a growing gap between firms at opposing ends. According to the records on corporate tax payments, a total of 264,564 companies reported zero net profit for last year, up 9.8 percent from the previous year. The latest total is the highest since the tax agency began keeping records in 2012. Such companies accounted for 38 percent of the entire number of firms, also the highest. The proportion was 37.2 percent in 2012, 37.8 percent in 2013, 36.9 percent in 2014, 37.2 percent in 2015 and 37.3 percent in 2016. On the opposite end, 2,394 companies recorded a net profit of over 10 billion won, up 12.1 percent from the year before. The size of their profits in relation to the underperformers showed in collected corporate taxes. Last year, the taxes paid by the companies amounted to a record 59.2 trillion won, up 7.1 trillion won from the previous year.